You can receive consistent and clear guidance while you sleep by inviting angels into your dreams. This is an especially good way to gain new understandings and creative ideas when your daytime thinking mode is locked into black-and-white viewpoints. While sleeping, we let go of rigid thought patterns. God and the angels can more easily transfer Divine ideas to us when we are open-minded, such as when we’re asleep. 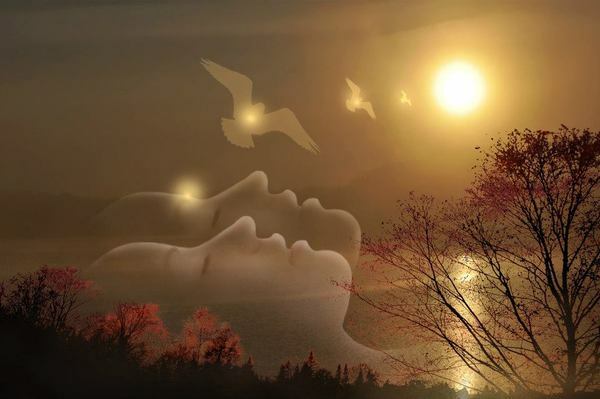 Even if you don’t normally recall your dreams, this powerful affirmation will shift your consciousness so that you have powerfully vivid — and unforgettable — dreams during the hour immediately before awakening. We call these “lucid” dreams. They are like being in a movie, where you are simultaneously watching yourself and being the participant. It would be very difficult to forget these dreams. Even the person who swears, “I don’t dream” remembers the plot and the message of lucid dreams. Many great inventions, books, and solutions were derived from dreams. You’ve likely heard stories of authors, business people, and inventors awakening with a lightbulb of an idea. Everyone has access to this pool of information, because everyone’s mind is eternally joined with the infinite wisdom of God. You, too, can create in your sleep by setting your intentions before going to sleep. We’ve often read that faith is the substance of manifestation and miracles. In A Course in Miracles it says, “There is no problem in any situation that faith cannot solve.” And a new scientific study found that people who believe in psychic phenomenon were more likely to experience accurate psychic guidance by a factor of one trillion to one, compared to skeptics. Heaven will replace your distrust with faith, and you’ll feel more confident about following your knowingness. We interact a lot with the angelic kingdom during our dreams. You’ll increase your number of angel messages and the speed of your clearing work simply by inviting the angels into your dreams.